A Dinky Indulgence is something that fills your soul; a small pleasure that creates joy in your life. If we can fill our lives with these Dinky Indulgences, the stress and negativity will fade away into the background. I’ve been a pedometer addict for 8 years now. I make sure to acquire at least 10,000 steps with each walk; I figure the rest of the day is just bonus steps with whatever I can get into, like shopping. The pedometer brand itself has changed, but the single constant has been that I walk… every single day. Sometimes I walk on the beach, and sometimes I go to a park. On occasion, I get bored and drive somewhere new so I can check out a different hood. I just LOVE looking at people’s houses and sizing them up. Do they have a boat? Is that woman having an affair? Shouldn’t that kid be in school? Why in the world did they choose THOSE curtains? I envision the people living in a certain house, and question why they choose that particular porch furniture. Sometimes I ponder the purchase “interesting” manatee-shaped mailbox. 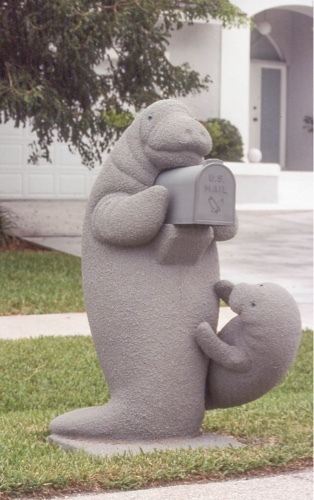 I mean, wouldn’t you question the semantics of a manatee-shaped mailbox such as this? Mostly, I walk to talk-radio. Political pod-casts thoroughly entertain me; I listen to comedy skits, or my favorite station NJ 101.5. The hosts, Dennis and Judi, have that certain finesse you can only find from homegrown Jersey boys and girls. They entertain me so much that sometimes I walk double and acquire 20,000 steps just so I can continue listening to their show. Really, you should check them out, they are on from 10am to 2pm weekdays. They’re so refreshing, with controversial humor and bold opinions that I just can’t find here in Florida. Although I may not agree with everything they say, it’s always a bright spot in my day when I tune-in. Over the years, my morning walk has become more than a ritual; it’s my entire reason for jumping out of bed. It’s one fantastic hour… just for me. Once, I wanted to schedule a class after my morning walk; a guidance counselor told me that I needed to get my “priorities straight,” but I told her that my priorities were completely in order… thank you. Sometimes I let people join me on my walk, and sometimes kiddo comes along with his scooter, but I really look forward to those days that I am completely alone. About a three years ago, I bought a FitBit when my SportBrain died; it counts your steps, miles, stairs, calories etc. It connects to your computer and keeps track of everything for you, and I feel completely naked without my special little friend… sometimes it even asks for a hug. A little more than a year after purchasing my high tech pedometer, I was congratulated by my pocket-sized friend for completing 2,000 miles! I felt like I should celebrate by purchasing some brand new special walking flip-flops. Yes, I wear flip-flops on my morning walks. People find this weird, but I think they’re the most comfortable footwear aside from bare feet. My flip flops were with me for more than 2,000 miles… so I consider them very special.Florida to New Jersey is about 1,000 miles, I’ve done that almost three times now… in flip flops! Shouldn’t that be in a world record book, or something? You owe it to yourself to have an hour long “Dinky Indulgence;” something which creates a positive experience in your daily life. 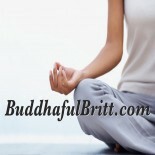 Consider getting yourself a pedometer and create a little YOU time. 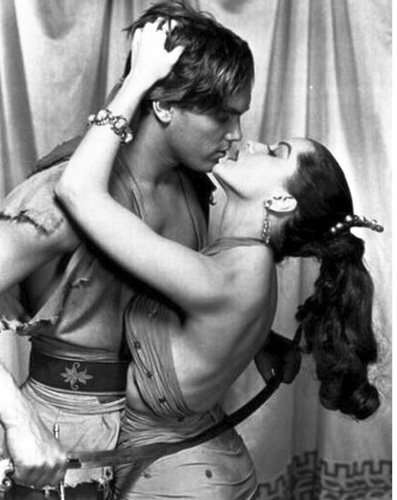 Make small goals, and find something like Dennis and Judi to keep you interested. We all understand it’s healthy to walk, but it’s also very important for your mental well-being. On my morning walks I see all kinds of wildlife, and interesting people. I tend to work out all of life’s problems, but once my walk is completed I push those worries aside and start my day with positivity. You, too, can create some space for peace in your life so easily, all you have to do is JUST GO. Try to keep in mind, this is NOT about exercise, this is about peace of mind. Each day holds something new; it could be cloudy or foggy, sometimes too hot, or too cold… but it is always the best part of my day. I love walking in flipflops – especially Havaianas, they’re so comfy! Unfortunately I don’t get to do that very often anymore, living in the cold north. I’ve also been thinking of getting a Garmin Vivofit bracelet-thing, so your post certainly was interesting and inspiring! 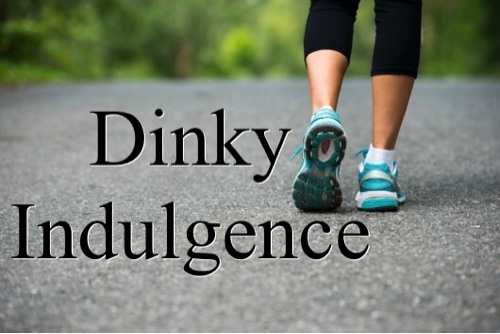 This entry was posted on June 18, 2016 by Britt in Buddhaful, Dinky Indulgence, Inspiratus and tagged fitbit, get outside, health and fitness, healthy choices, lifestyle, move, walking.